The Synthetic Cloth Tape is the tape coated with specialty rubber based adhesive, which has a very high cohesion and peel properties. The product is ideal for general purpose applications including holding, sealing, fixing, and light duty packaging. It offers high surface contact area with clean removal properties. Our reputed entity is engaged in supplying Cloth Adhesive Tape. 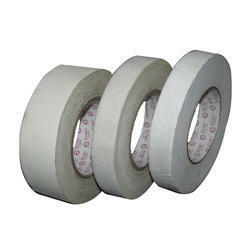 We are offering a versatile waterproof cloth tape, with outstanding resistance and toughness. The product has very good shelf life, high tensile strength, and good abrasion resistance. 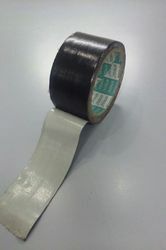 Applications: the tapes are widely being used for key applications like masking, carton strapping, sealing, etc. Lengths available from: 12" to 24"
Cotton cloth tape are water proof and using in textile industries.